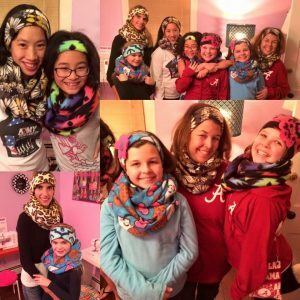 Girls bring your mom to the studio for a night of sewing fleece infinity scarves and matching earwarmer sets! You each make your own. Choose from a few fun Valentines inspired prints. $50 total per duo, all supplies included.